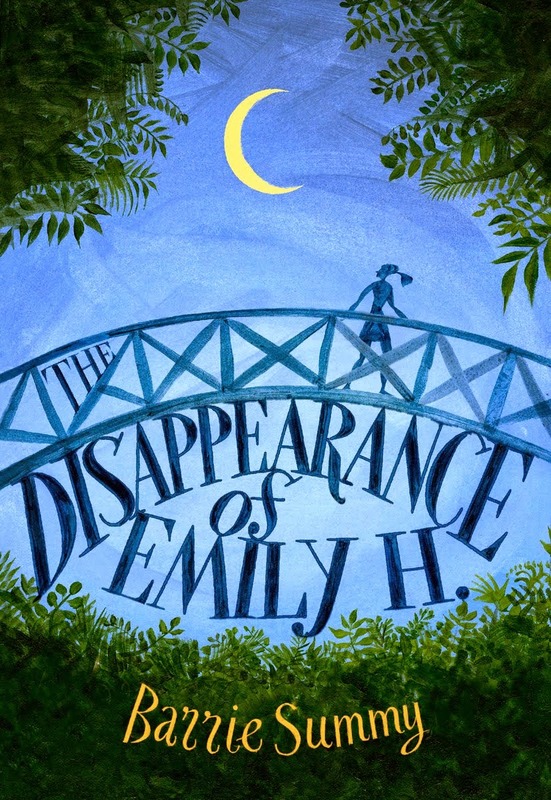 Welcome to the September meeting of The Book Review Club! We're back after a summer of fun and reading. Please click through below my post for links to smart, thoughtful reviews of a variety of books. You will not regret it. Promise! A little trivia: On this day in 1850, California became the 31st state. And in 1956, Elvis Presley debuted on the Ed Sullivan Show. Happy Birthday to Michael Keaton! I've always had a bit of a celebrity crush on you. It's the end of the summer. I've been reading a lot of middle grade and young adult. And I'm really in the mood for a break. So, I pick up JUST SAY YES by our very own Alyssa Goodnight. I expected to enjoy this book. After all, I'm already in the know re Alyssa's snappy writing and her terrific sense of humor. What I didn't expect was to enjoy it oh so much! In a nutshell: Jade Moran is a single mom in desperate need of a kitchen remodel. She's not looking for romance, and she has her reasons. Max Gianopoulis, contractor, doesn't get involved with clients. He has his reasons. Toss in some wacky family, a teenage daughter (yes, I could relate! 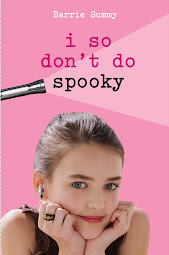 ), a bunch of humor, a little magic and...voila...a fun, entertaining romance. The thing with romance is you pretty much know the ending from the start, right? Boy and girl wind up together. What's tricky is the journey, how the author manages to get the hero and heroine together by the last page. And Alyssa does it seamlessly, in small, believable steps. Loved this! Her: "I didn't lure you here as a part of a ploy to seduce you." Him: "I've seen your kitchen...your alibi is rock solid." Something a Little Different: Each chapter begins with a description of a food and how it relates to life. You know how addicted I'm majorly addicted to licorice? Here's the food description from the top of chapter 5: Licorice can rein in the emotions and foster a sense of control over tricky situations, but it should only be a temporary fix. Ha! Who knew?! 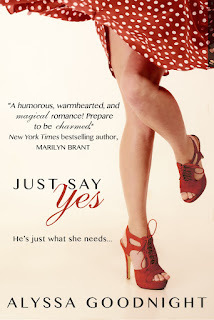 Thank you, Alyssa Goodnight, for JUST SAY YES, a very entertaining romantic read! Dear FCC: No subterfuge here. 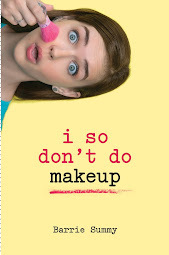 Bought JUST SAY YES for my kindle.